Kids+ Superhero obsession, can there be any miss in this combination? Well, to be frank I myself loved super heroes in my childhood and when asked what I want to become when I grow up, I used to act like a superman, saying I would be the first superwoman! I know most of you can relate to it because your kids are the same too.Your kids are distinguished on account of their good manners. No matter how intelligent or brilliant your kids are here is small list of good manners which will help your kids to come out to be a great person in future. *Yaayyiiee* kids these days! I tell you. Well, it’s not a bad obsession right? 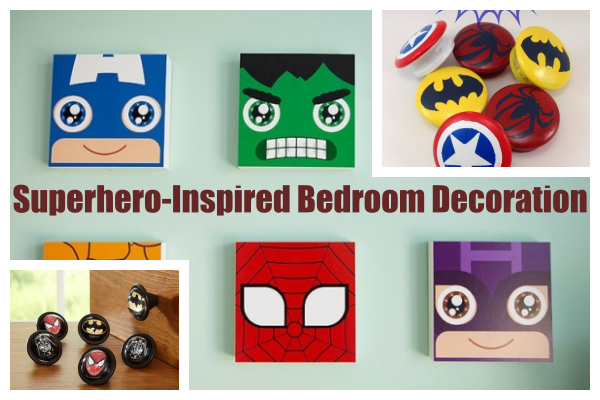 So, if your kid loves superheroes why not have some super cool Superhero-Inspired Bedroom Decoration Ideas for Kids? I know what you are wondering – what you do without us right? Well, don’t need to think of that because we aren’t going anywhere! If you want to go simple, let the wall color do all the talking. 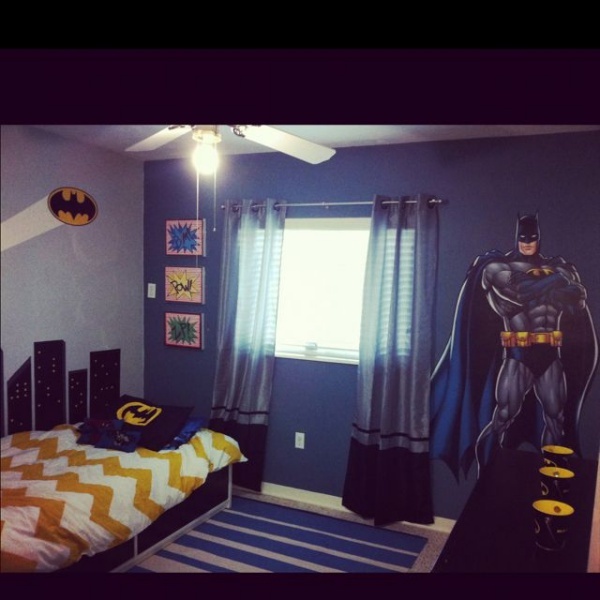 Take the paints that represent your child’s favorite super hero and paint the bedroom with those colors. 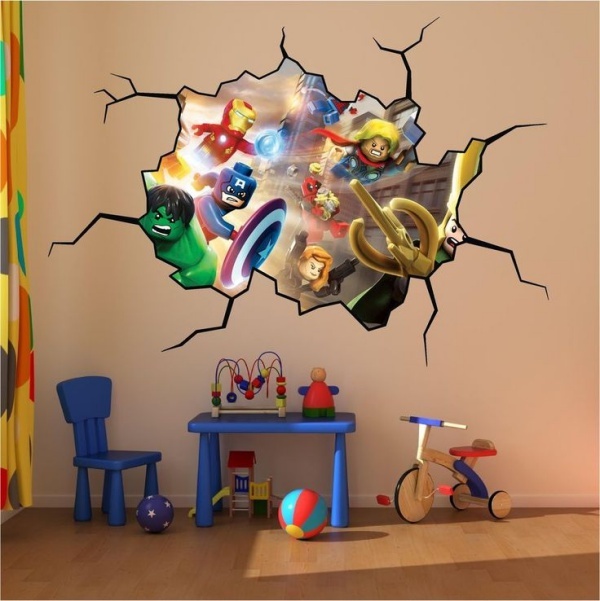 Superhero-Inspired Bedroom Decoration Ideas for Kids would be totally an incomplete venture if you leave the wall plain and boring. Why not indulge in some careless doodling with your child? 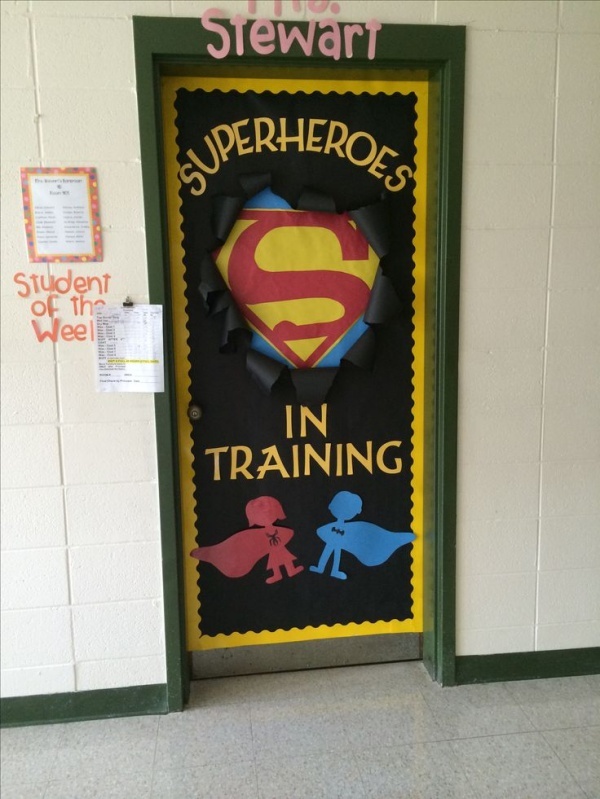 Give them one wall of the room to use it as a canvas and let their imagination with the superhero come out! Help them and come up with some funky doodles of the superhero and your child’s fantasy mixed with it (oh! I just remember how much I used to love writing and drawing on walls). 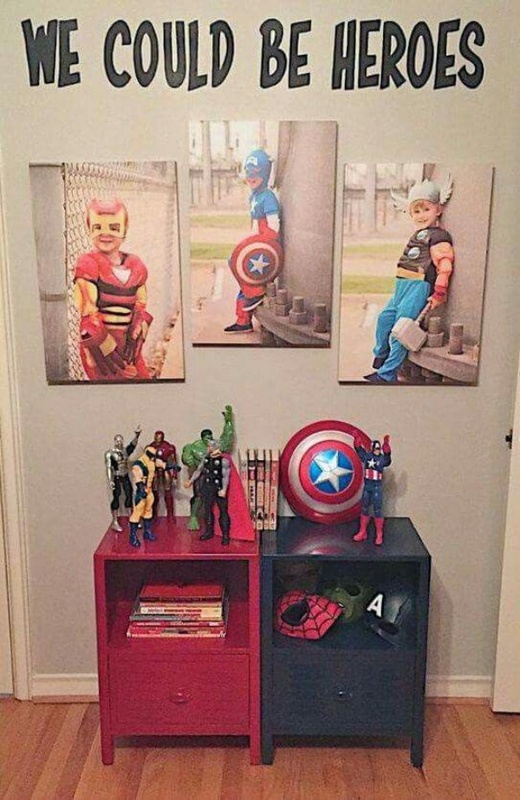 Looking to add some interest in your child towards studying through a Superhero-Inspired Bedroom Decoration Ideas for Kids? Then try to decorate the storage space with the superhero. 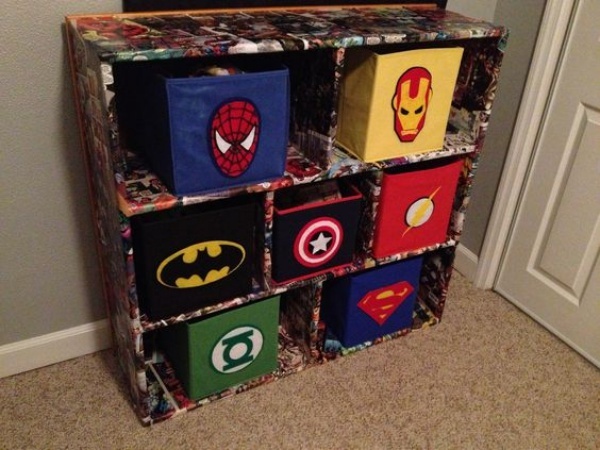 You can experiment with colors and drawing and make the storage space look like the hub for the superhero. Getting their study table and chair customized with the beautiful sticker of their favorite superhero on it will instantly make them jump. Get big posters of the superhero in different poses and get them framed to make a wall of superhero in the bedroom. You can get some Photoshop done on the photos and get your kid tagged along in the image and then get it framed. Thanks to the wonderful customizing technology and Photoshop effects that will somewhat make your child’s dream of being with superhero come true (fictionally). Your kid does not come out of the room a lot? 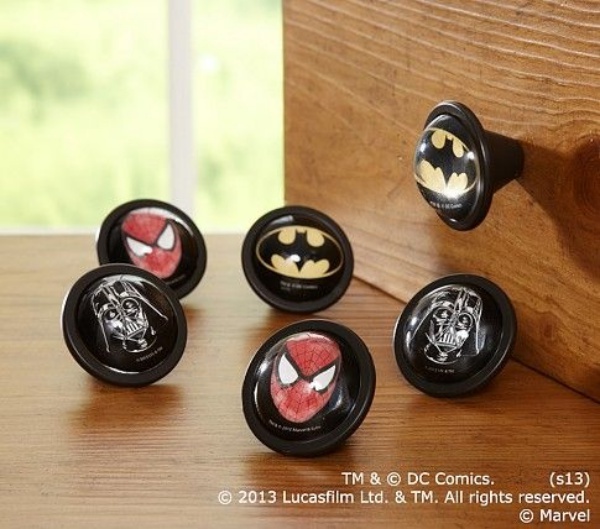 Then make him/her come out because if you have superhero-designed knobs, they will want to reach out to it more often and this will force them to come out of their room! 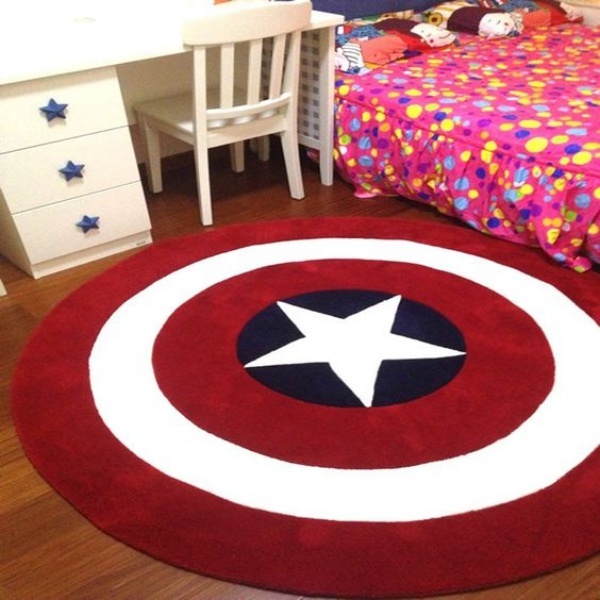 Serving dual purposes through this amazing Superhero-Inspired Bedroom Decoration Ideas for Kids, isn’t it? Who said the superhero has to be on the top always? Why not let the floor be full of the superhero images and actions? 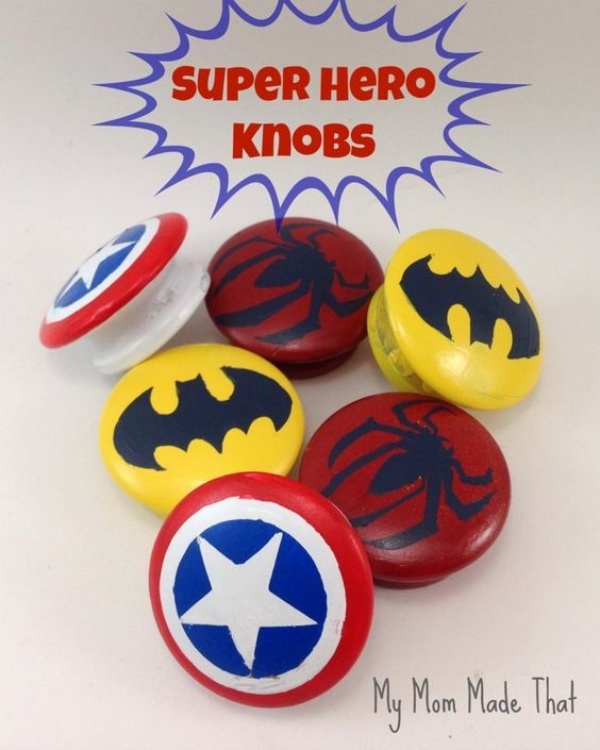 You can either get the marbles and tiles customized or you can also do a marble color combination in the exact format of your kid’s favorite superhero. 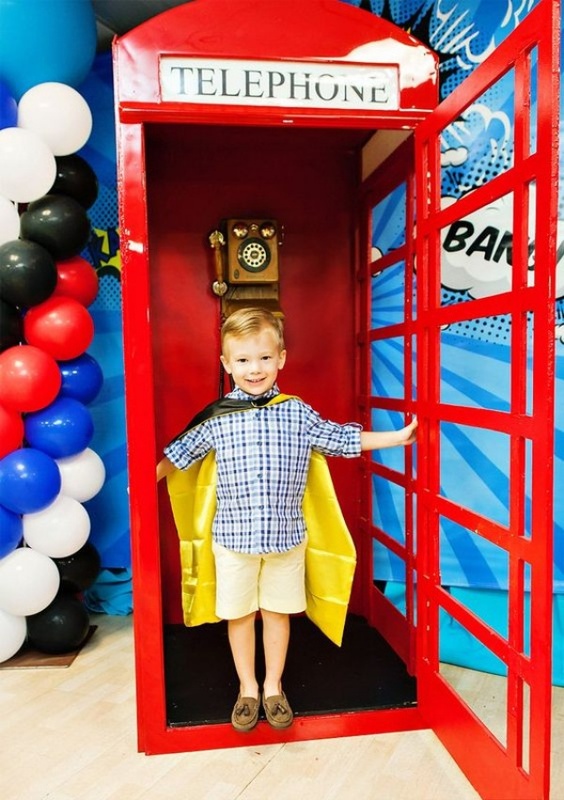 Convert the wardrobe to look like a telephone booth and once a person gets into it, the walls of the booth have the posters of the superhero! 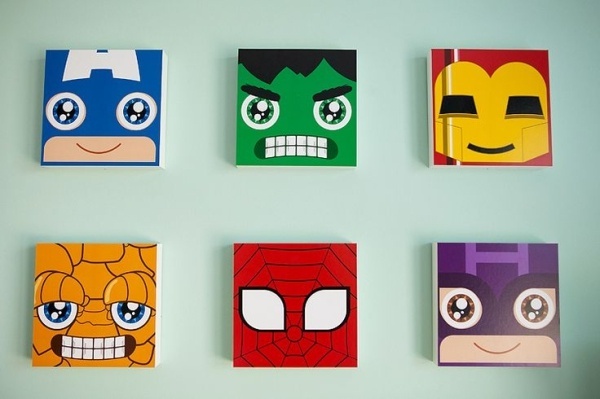 Isn’t this a cool Superhero-Inspired Bedroom Decoration Ideas for Kids? Make sure your kids don’t keep staring into their new big thing then! 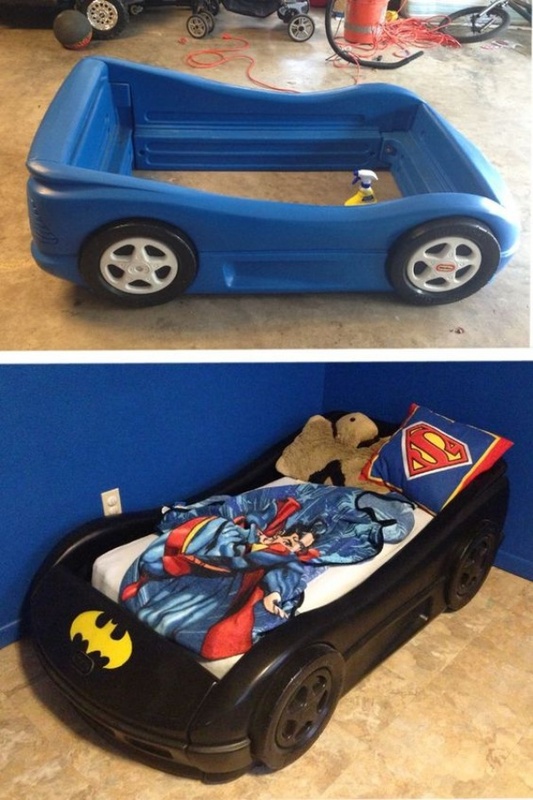 This is a little difficult DIY idea – you can get the bed customized into the shape of the superhero. If you do not get options to get this done, don’t get disappointed. 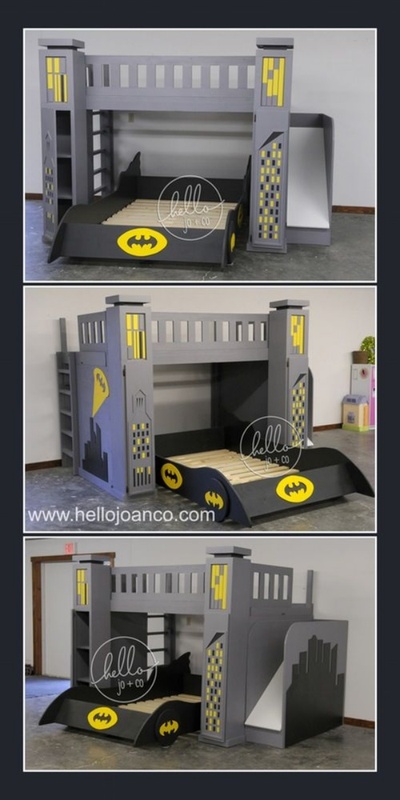 You can decorate it with customized bedsheets and pillow covers of the superhero. Heard of monograms of birds and animals but not of superheroes? Plants and animals are good for drawing rooms, but for kids room? 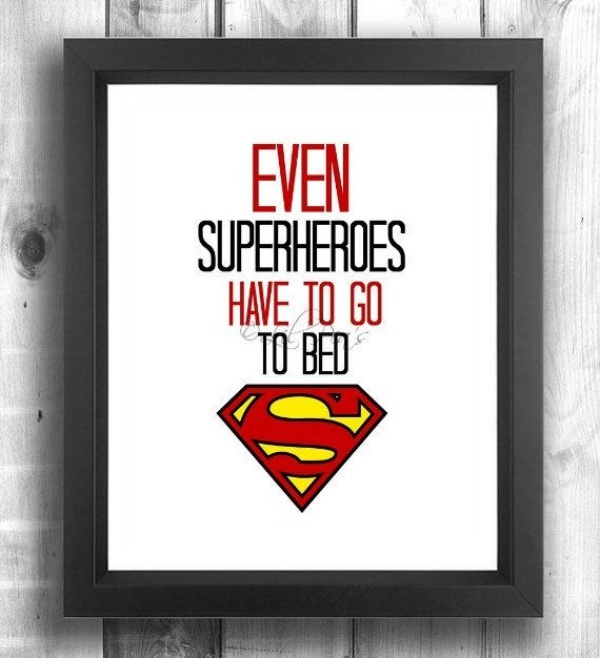 Why not have the superhero printed big on the wall and get the taglines and famous quotes imprinted along with the poster. 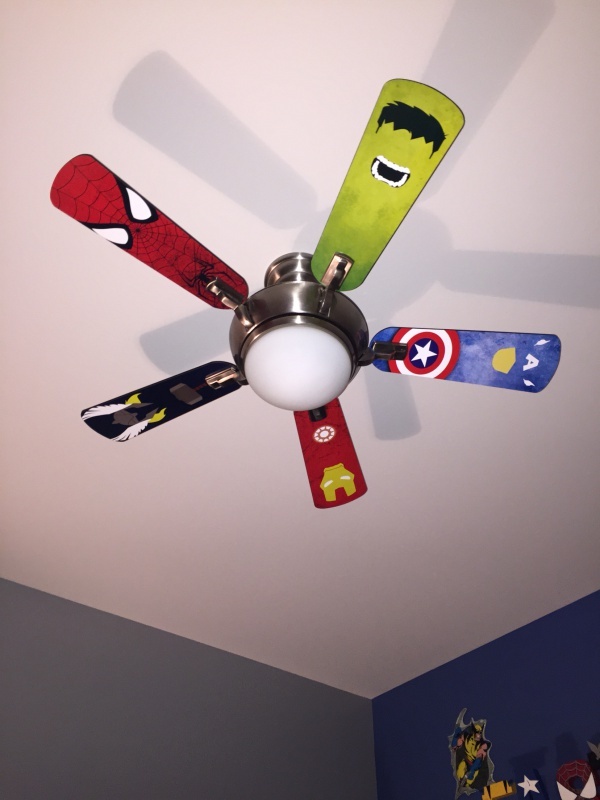 Wouldn’t you love it when your child goes to sleep with a big smile on his/her face because as soon as they lie down they will be able to see their favorite superhero up on the ceiling? You can get the superhero canvased on the ceiling and to add to it, get customized fans and lights that have batman and superman on it! 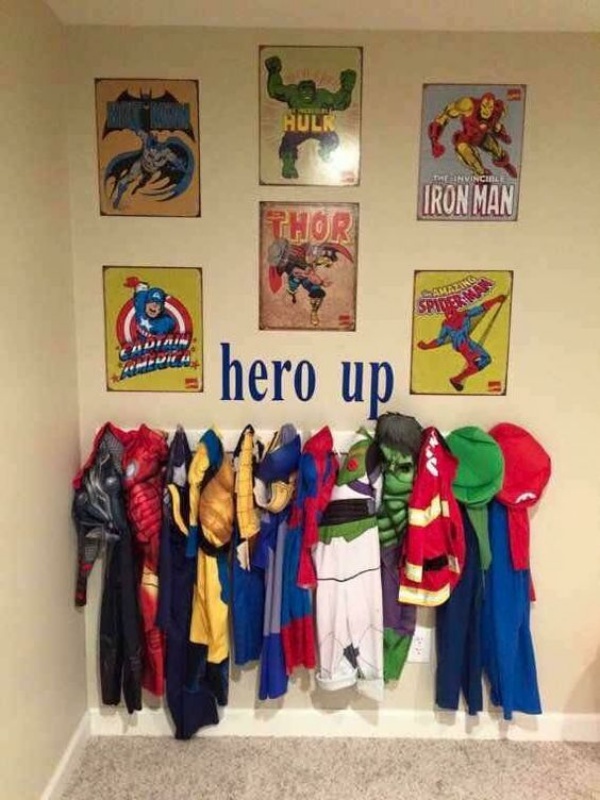 Your kid is just going to love to go to sleep early with this cool idea of having to see the hero above him/her. Being a parent, there are many ways by which you can give the teachings to your kids, but one of the best way is to teach your kid with some nature crafts which also help to sharp their brain. Voila! Which one are you trying out today? Choose the colors wisely because you would not want your kid’s room to become too dark because of dark colors ruling the room. Opt for a combination of bright colors along with the superhero effect and the room will then become the most favorite part of the house for all of you!